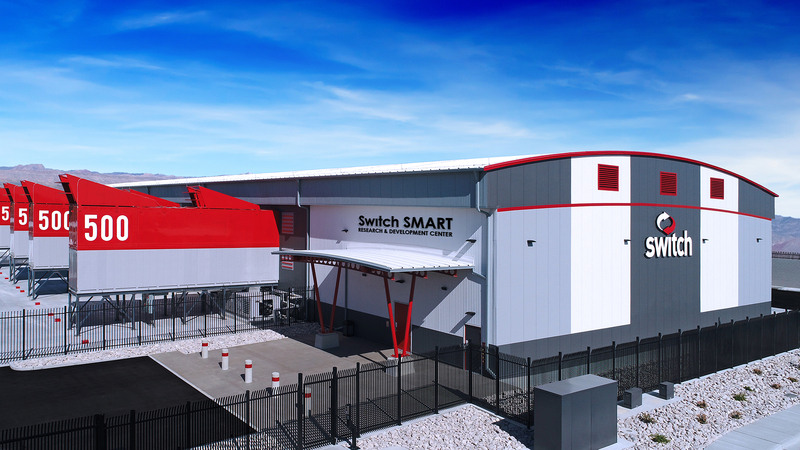 LAS VEGAS — Switch, the global technology solutions company that is powering the future of the connected world™, today announced its Modularly Optimized Design (MOD) line of data centers that can be customized and scaled to meet client needs. The MOD design captures Switch founder and CEO Rob Roy’s mission to build the most advanced data centers on the planet, incorporating his more than 350 issued and pending patent claims that are revolutionizing the data center industry. Switch MOD gives clients mission-critical, future-proof expansion capabilities at competitive prices. The Switch MOD 100 and MOD 250 are built to Switch’s proprietary Tier 5® Data Center Standard, which not only encompasses the resiliency and redundancy in other data center ratings systems, but also evaluates more than 30 additional key elements. These elements include long-term power system capabilities, the number of available carriers, dual roof with zero roof penetrations, the absence of cooling system lines in or above the data center, physical and network security and 100-percent use of renewable energy. Switch MOD 100 and MOD 250 products are built to the Tier 5® data center standard at costs comparable to those that other companies incur to build lower-rated Tier 2 and Tier 3 facilities. The MOD 250 is Switch’s hyperscale data center ecosystem designed, constructed and operated to the same specifications as the company’s existing LAS VEGAS SUPERNAP data centers. The MOD 250 provides scalable power, space and cooling for massive hyperscale deployments for single user clients. The MOD 100, represents Switch’s solution for a rapidly deployable, single user environment that can be extended to nearly any location around the globe. The MOD 100 data center can be customized to fit on premise, at the edge or in a dense urban environment on a parcel as small as 400 feet by 400 feet. As a demonstration of its ability to be rapidly deployed, the first Switch MOD 100 (LAS VEGAS 12) was completed on The Core Campus in Las Vegas in just six months. Switch’s world class colocation customers include Amazon Web Services, eBay, Marvel, Shutterfly, FOX, Amgen, Lionsgate, Zappos, Intuit, DreamWorks, Intel, MGM, HP, PayPal, Hulu, Machine Zone, Boeing, Warner Brothers, NASA, Verizon and many hundreds more. Switch believes it can build facilities at a scale, pace and cost-savings unmatched in the industry by manufacturing 80 percent of the components used to construct Switch MOD data centers. Switch MOD 100 and MOD 250 products house all of Switch founder and CEO Rob Roy’s patented data center systems into physically secure, optimally-integrated, future-proof, mission-critical facilities.